After months of doubt, scepticism, and ridicule, PUBG Corp. is gearing up to give its hit Battle Royale title PlayerUnknown’s Battlegrounds a true esports push. Despite there being regular online and offline tournaments and leagues, professional organisations providing players with salaries, and plenty of money being made from winnings, people still don’t think PUBG – or any Battle Royale game for that matter – can be a competitive force. It’s to be expected though. There are indeed random elements in the genre of the game, with arbitrary circle positions, loot and weapon spawns, and initial plane directions making each match a mysterious, uncertain experience that lies ahead for the teams that choose to compete. What many fail to realise is that these elements don’t ruin the competitive aspects of a match in PUBG, it makes it thrilling as the winners of any given match have to be able to adapt and come out on top. 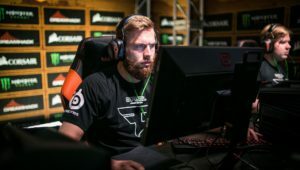 There’s a reason FaZe Clan haven’t placed outside of Top 5 throughout 2018: they’re able to adapt and make the best of a bad situation on a consistent basis. With the PGL PUBG Fall Invitational taking place over October 11-14th, there are no more major tournaments planned before PUBG Corp. takes things up a notch. The developer is betting big on its game making it as an esport as part of its newly-devised five-year plan, which includes the inception of regional pro leagues. So far, only two of the leagues have been announced, but they are in more-than-capable hands with big-name tournament organisers. Prefacing the inevitable pro league announcements that came, PUBG set some new rules in place for competitions starting in 2019. Any player that is under 18 years of age is not eligible to play, and each team must have at least three legal citizens and permanent residents from its region. These rules will undoubtedly cause another huge roster shuffle across the community as they tentatively attempt to qualify for their biggest opportunity yet. The PUBG Europe League is a product of PUBG Corp. and StarLadder, and it will involve 16 teams from Europe, the Middle East, and Africa. $1,000,000 will be up for grabs across the 2019 season alone, with matches taking place in a specially-designed LAN studio. It will kick off at the beginning of next year. The National PUBG League has been designed by PUBG Corp. and legendary South Korean esports network OGN for North American teams. 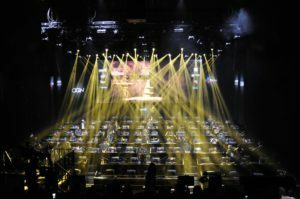 Moving over to North America from the League of Legends Champions Korea (LCK) competition, OGN will host the NPL for 16 teams inside its new arena and studio in California from January 2019. Taking these new rules and developer-supported leagues into consideration, it’s clear that PUBG is entering another stage with its competitive scene. PUBG Corp. first supported the game on an esports level with the PUBG Global Invitational (PGI) 2018, which had incredible viewing figures and plenty of favourable feedback. Now, rather than playing in online leagues on weekday evenings, players and teams will congregate in a single setting to compete on the title in the fairest way possible. Qualifiers are necessary for any team to get into their region’s league, and there is a plethora of cash up for grabs to set up high-stakes rewards for the team that can perform the best. With all of these things taken into consideration, it’s clear that PUBG is entering another stage with its competitive scene. It feels as if the stage has been set, now it’s time for PUBG to prove it – as well as other Battle Royale titles – can be viable esports titles. Not to mention, each pro league will culminate in an annual World Championship; much like Riot Games does with its regional leagues and Worlds. A pilot run of revenue-sharing took place around the time of the PGI 2018, too, and it proved to be popular. Despite selling in-game hoodies at the ludicrous price of $10, players and fans scrambled to social media to show their character kitted out in their team’s garb. All revenue earned from these sales was given directly to the teams; a move that allowed fans to support their favourite squad in a more tangible way. Expect this to carry on going into 2019, too. This won’t be the first league structure used for Battle Royale, however. Daybreak partnered with Twin Galaxies for the H1Z1 Pro League and that proved to be rather minimal with its impact in esports. PUBG Corp. evidently has larger ambitions, deeper pockets, and more faith in its game – the next evolution of PUBG esports is coming, whether you like it or not.